Here in Palestine the Separation Barrier is very evident when you are near the Green Line (the 1949 armistice line between Israel and the West Bank). 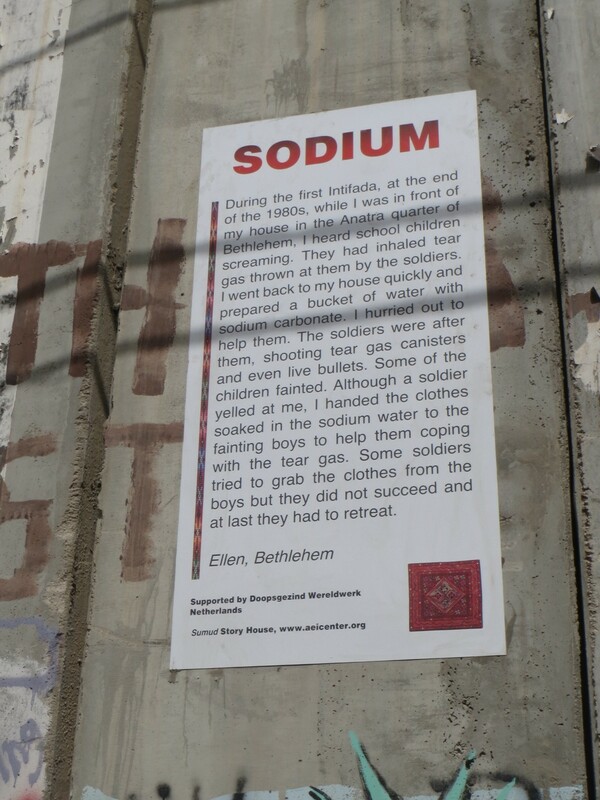 And nowhere is it so obvious as in Bethlehem where it winds its way through and between communities that used to be able to meet. The Separation Barrier if built on the Green Line would be 315km long. But instead because it twists and turns into the West Bank, taking in Palestinian private land and dividing communities, it will be 709km long when complete. 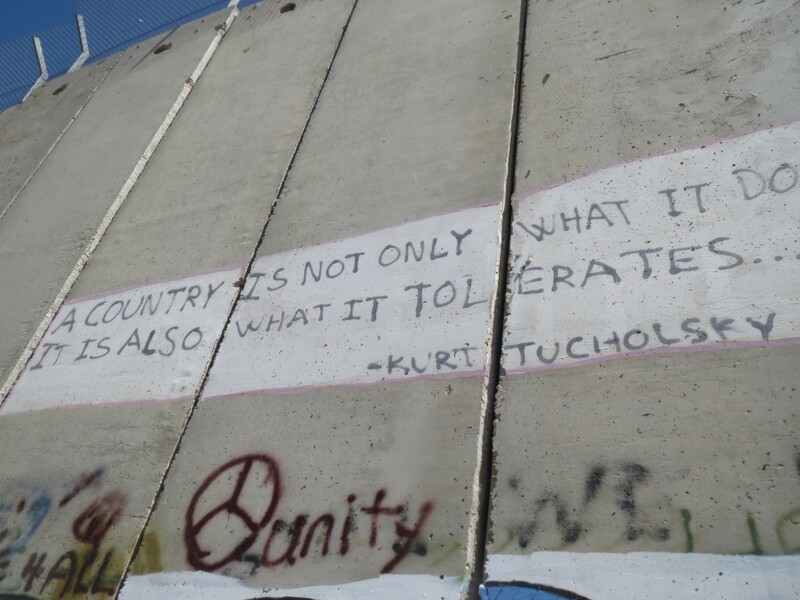 So what do you do about a wall built in your community without your consent? Use it as an art project and make it part of the protest movement. 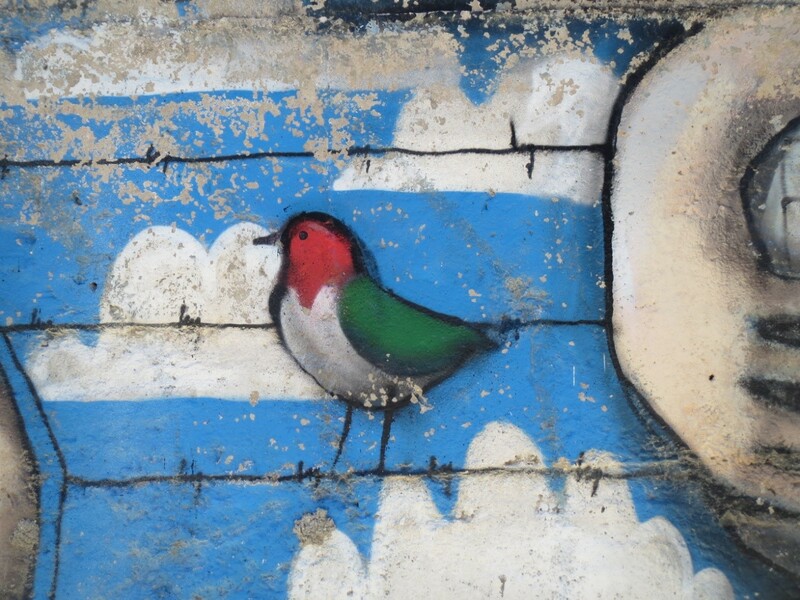 Banksy is famous for coming to Palestine and decorating the Barrier but before and since, there have been many Palestinian works of art on the wall. Some are just written statements while others are famous quotes. 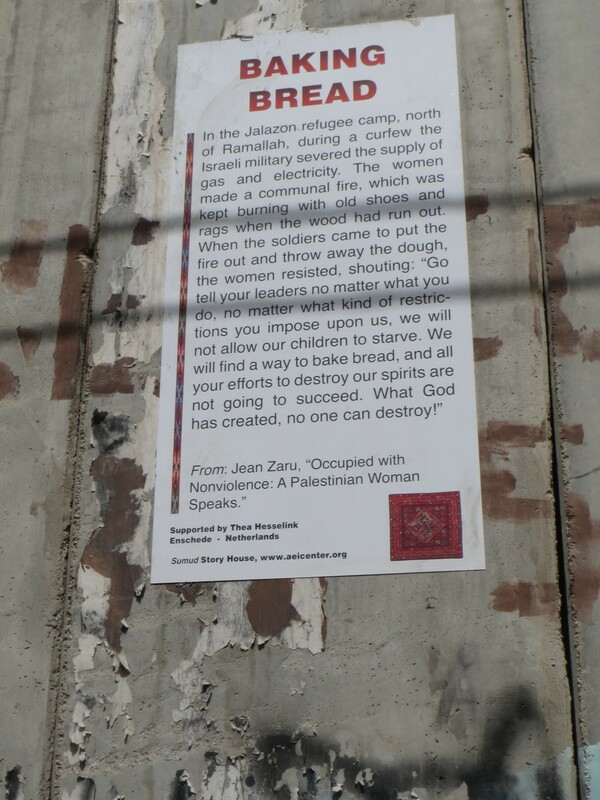 This one can also be seen in Yad Vashem. 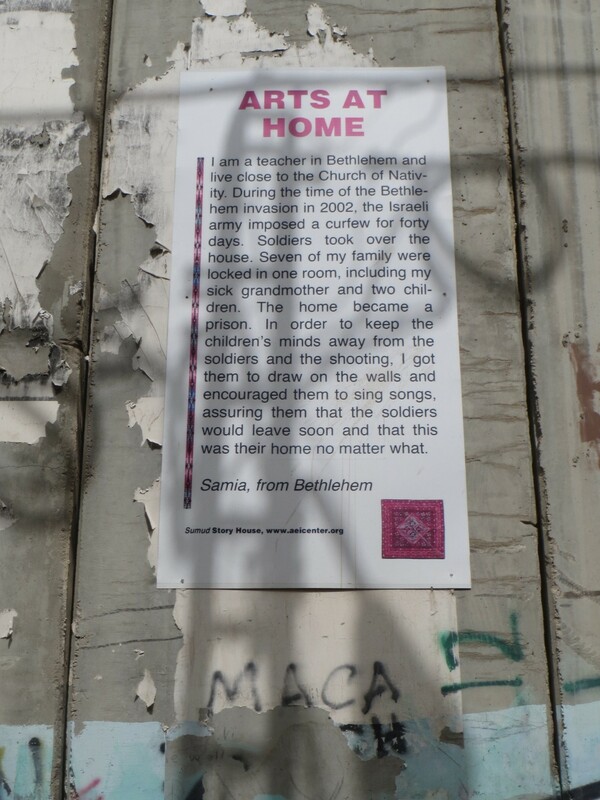 And in Bethlehem there are stories of ‘samud’ – Palestinian steadfastness – the determination Palestinians show by staying on in their own land regardless of the pressures and deprivations they are under. 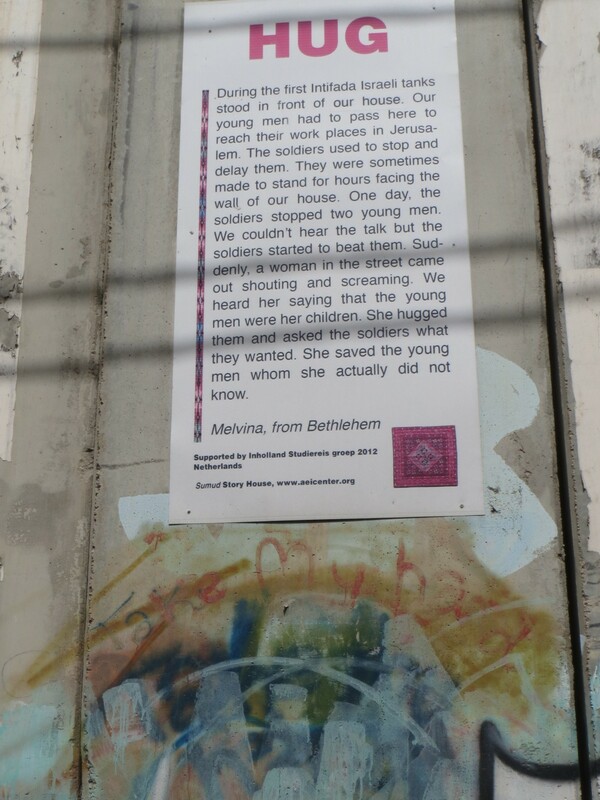 It makes for a very interesting walk along the Barrier and shows the steadfastness of the Palestinians to stay on their land and to tell the world their story. 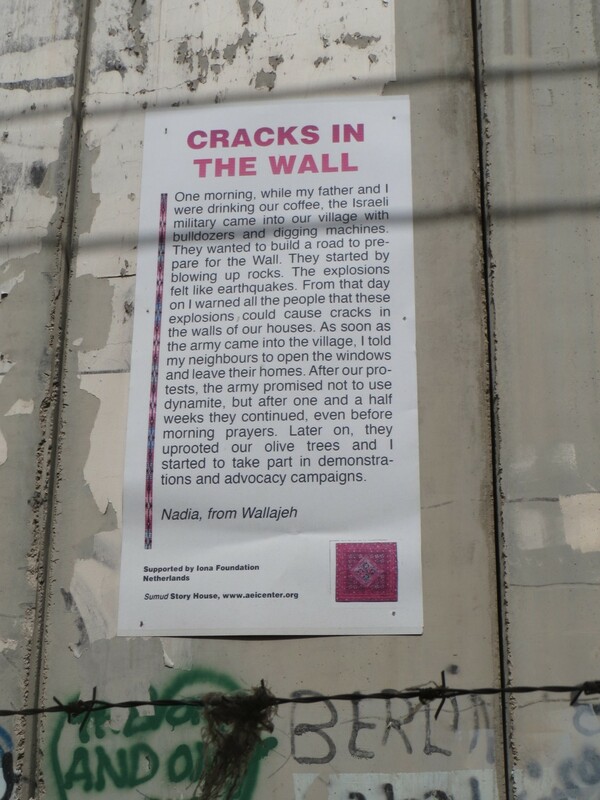 This entry was posted in Israeli and Palestinian peace workers, Separation Barrier, Southern West Bank. Bookmark the permalink.